An Opinionated Podcast for Opinionated People. 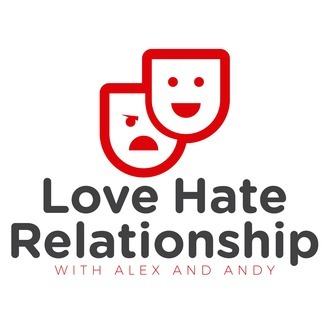 Alex opens this episode’s Love segment with one of his and Andy’s favorite comedians working today, the ever-precocious John Mulaney. He discusses Mulaney’s master-craft attention to detail as a writer and performer, Andy makes a lot of the fact that he seems to be bringing back an older-school style of comedy (and wears a suit! ), and the two of them touch on the weird commonality Mulany seems to share with Dane Cook along with the his hits and misses with other projects like Oh, Hello On Broadway and his terrible eponymous sitcom. Andy aims high on this episode’s Hate segment and calls out Toxic Masculinity in all of its over-arching totality. He and Alex discuss the individual messaging that they received about boys and men being allowed to cry, the evolution of language in discussing the concept, two very different pictures of masculinity presented (entertainingly enough) in a Logic video, and recognizing how far we’ve come in addressing it and what we can still do (spoiler: not much but not nothing). Our question comes from a listener who has disliked their best friend’s partner for years without telling her, and is looking for assistance with finally telling her. 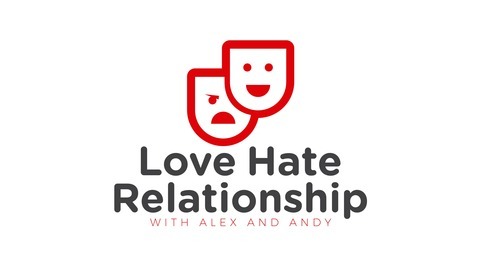 After Andy does some admonishing for their somewhat high-falutin’ attitude, he and Andy remind them that while it’s okay not to like people, that the relationship with their best friend should be the focus and sometimes that means bucking up and dealing with some folks.